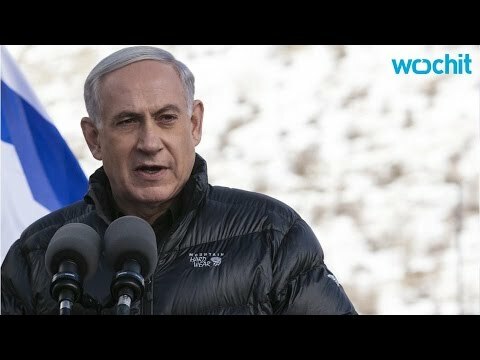 Israeli Prime Minister Benjamin Netanyahu signed coalition deals with two parties on Wednesday, in his first steps toward constructing a new government, one week before the deadline to present a cabinet. While Netanyahu’s Likud party won the March 17 election with 30 parliamentary seats, he is still left with the task of forging a majority in the 120-member legislature in order to govern, according to AFP. On Wednesday, he inked alliances with the ultra-Orthodox United Torah Judaism (UTJ) party and the center-right Kulanu, putting a combined total of 46 seats under his command. Kulanu leader Moshe Kahalon, who campaigned on a platform of social reform, was promised the finance portfolio, identical statements from his party and Likud said. “In the forthcoming government we shall press ahead with reforms on housing, banking and work to narrow the gaps in Israeli society,” they quoted him as saying at the signing ceremony. Public radio said early Thursday that Kulanu would also receive the environmental protection and construction ministries. Assignment of Kahalon’s Kulanu party to construction ministries likely marks future continuation of settlement construction in occupied East Jerusalem and the West Bank, as the leader propagated his dedication towards settlement construction in the run up to last month’s election. “A courageous leader must stand up and recognize Israel as a Jewish state and agree to a united Jerusalem and large settlement blocs (in the West Bank),” Israeli news source Haaretz reported Kulano saying in January. “They must renounce the refugees’ issue and understand that there’s no return to the 1967 borders. The Kulanu party will support any arrangement that strengthens Israel’s security,” Kahalon said. Support for settlement expansion in new coalition members does not come as a suprise, as Netanyahu garnered significant support from the settlement bloc and vowed to expand settlements in occupied East Jerusalem prior to elections. While an official agreement with right wing party Habayit Hayehudi has not been announced by Likud , Habayit Hayehudi confirmed Wednesday that the Agriculture Ministry would be assigned to Uri Ariel, who will also control the World Zionist Organization’s Settlement Division, a funding channel to settlements in the occupied West Bank, according to Israeli news source Haaretz. Seperately, Netanyahu’s Likud announced an agreement with UTJ. “I think that the agreement we reached is a good agreement,” it quoted the ultra-Orthodox party’s Yaakov Litzman as saying. Ultra-Orthodox news site Kikar HaShabat said the deal included the contentious repeal of legislation enabling criminal sanctions against draft dodgers. The radio said it was agreed that Litzman would serve as deputy health minister, while fellow UTJ member Moshe Gafni would head the powerful parliamentary finance committee. Historically, ultra-Orthodox men in full-time study at a yeshiva (Jewish seminary) have enjoyed exemptions from Israel’s compulsory military service. An act passed last year, effective from 2017, required yeshiva students to either serve in the military or perform civilian national service. It contained a clause setting out sanctions against draft dodgers, including imprisonment, enraging the ultra-Orthodox leadership who say it would be tantamount to jailing people for practicing their faith. Local media predicted that the far-right Jewish Home party, ultra-Orthodox Shas and the hardline anti-Arab Yisrael Beitenu of incumbent Foreign Minister Avigdor Lieberman would also sign up with Netanyahu ahead of the May 6 deadline, boosting the alliance to a comfortable 67 votes in parliament.